Deborah Oluwa-seyi Joshua, better known by her stage name ‘Seyi Shay’ (pronounced Shay-yee Shay), is a Nigeria based International Recording Artist, Songwriter, and Performer. Seyi Shay was the lead singer of the British Pop/RnB girl group; “From Above”, signed to Sony/Columbia Record company and Music World Entertainment owned by Beyonce’s father; Matthew Knowles. From Above released their debut album online called ‘Breaking From Above’, which was also the title of their MTV reality show which aired in over 166 countries worldwide. They supported Beyonce on her “I AM” UK tour in 2009/10. 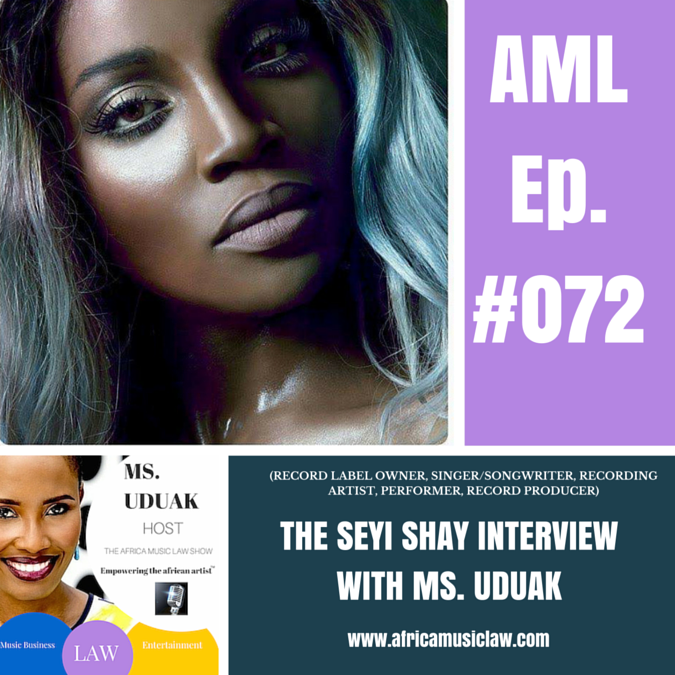 When the group disbanded, Seyi Shay made her entrance into the Nigerian/African market. She has since released several hit singles including her most successful one to date ‘Murda’ ft Patoranking & Shaydee, and her freshman album titled Seyi or Shay. 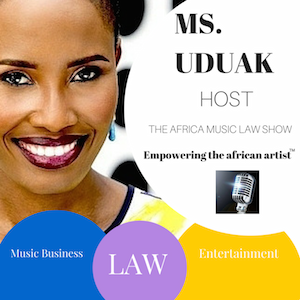 She joins Ms. Uduak on the 72nd episode of The Africa Music Law Show to discuss her career, her new album and signing a record deal with Island Records UK. Seyi’s views on current industry trends. Decision to stream her album. Working in the UK as an artist. Working with Cecil Hammond and Flytime. 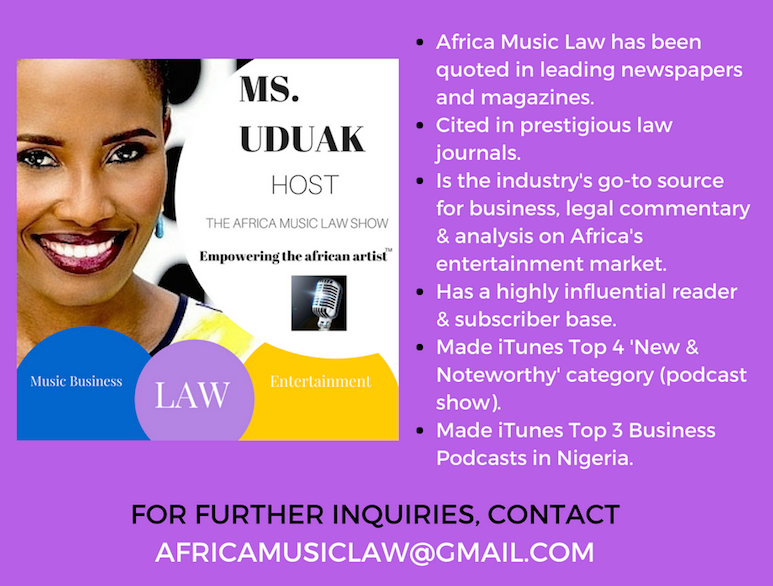 Business advice to indie artists. Producing the album Seyi or Shay. You can also purchase their new book Music, Money and Success on Amazon.